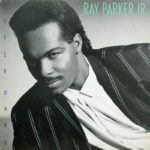 After Dark is the fourth album by guitarist/singer/songwriter Ray Parker Jr. released in 1987 for the new Geffen Records label. The record company released the album on February 14, 1987. It included the single “I Don’t Think That Man Should Sleep Alone”.